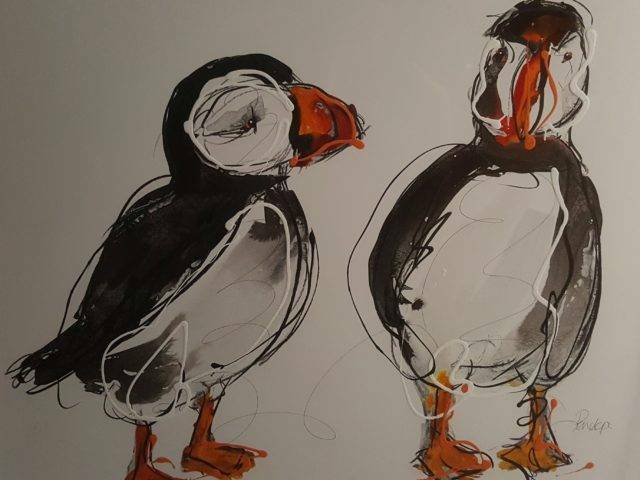 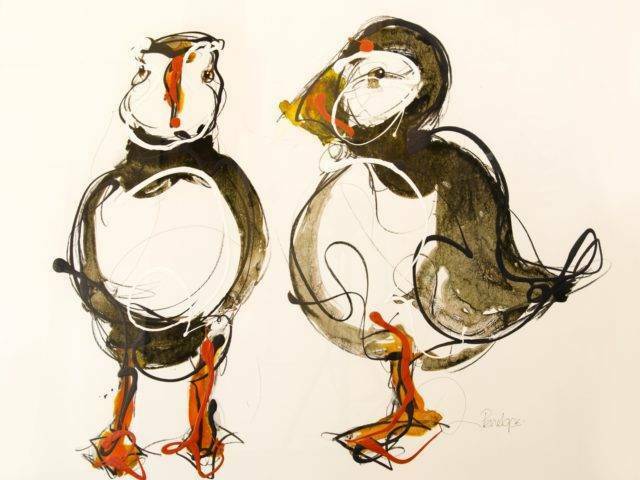 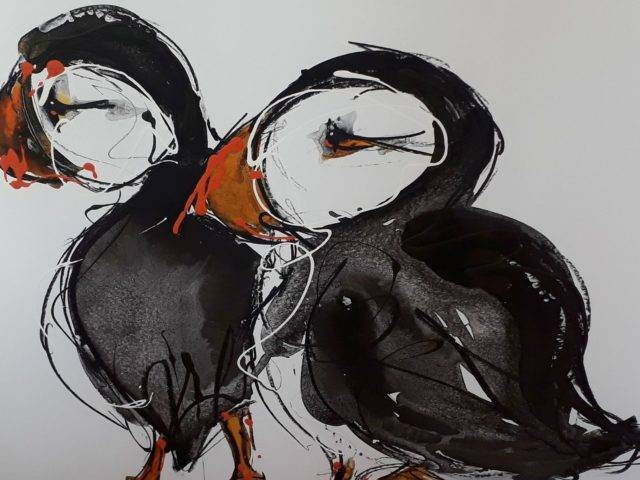 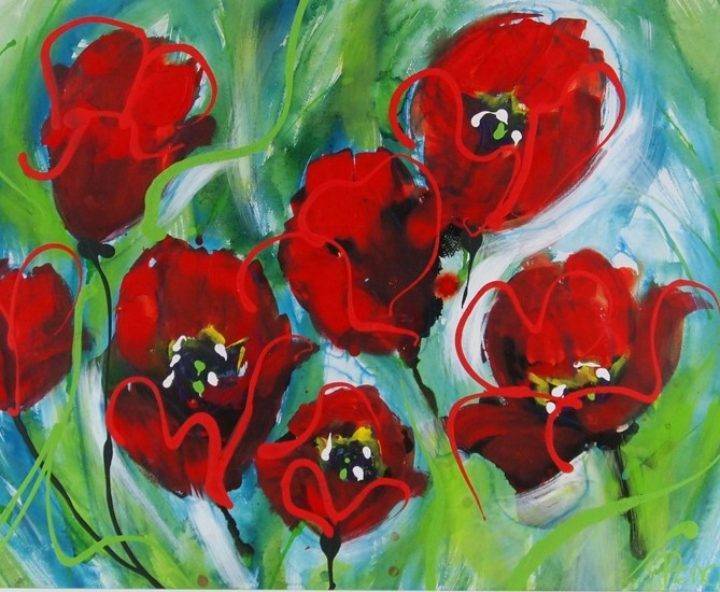 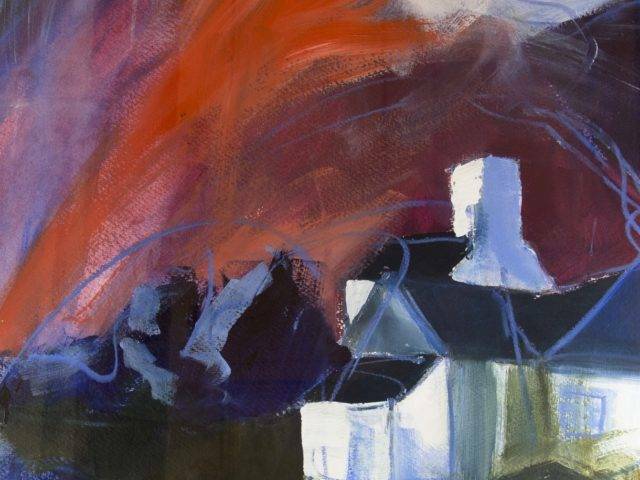 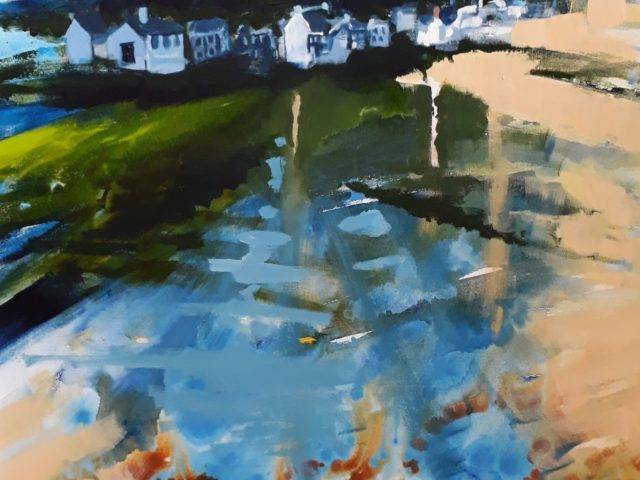 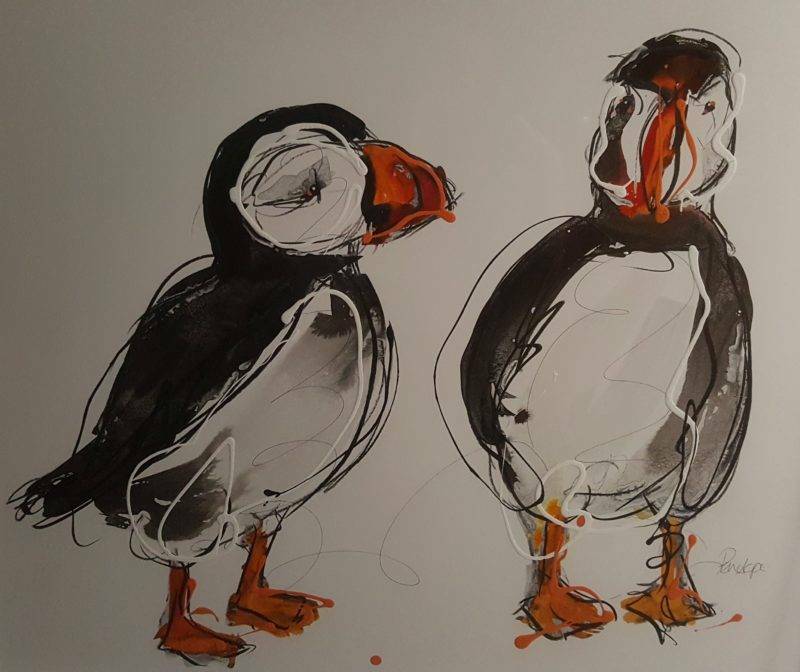 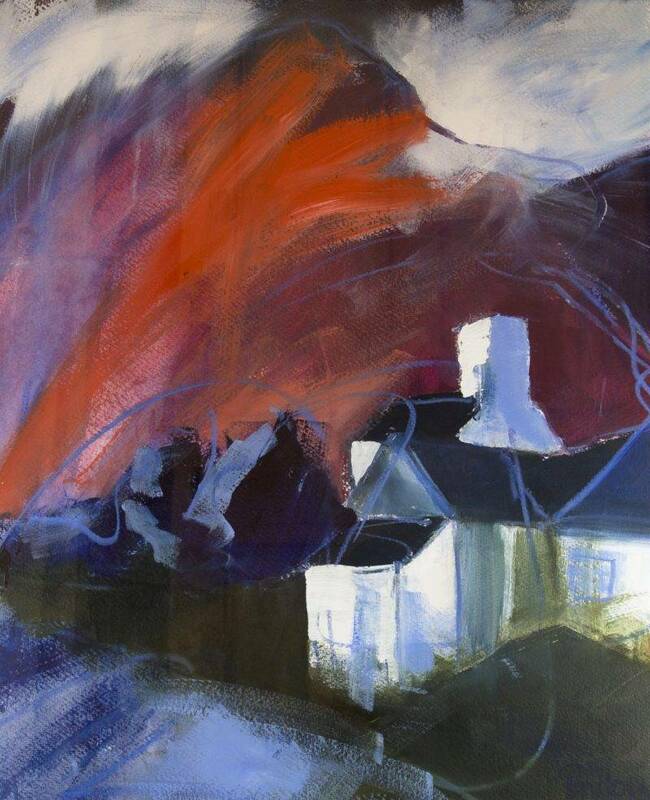 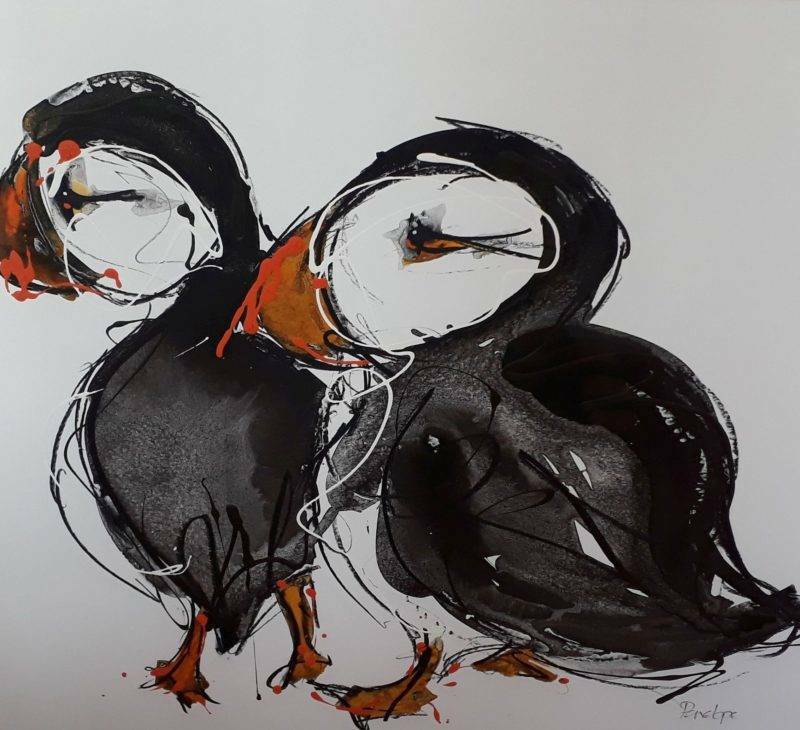 Penelope Timmis has a studio in a beautiful old converted church in the rolling hills of the Welsh border country by Welshpool and lives on a nearby working farm. 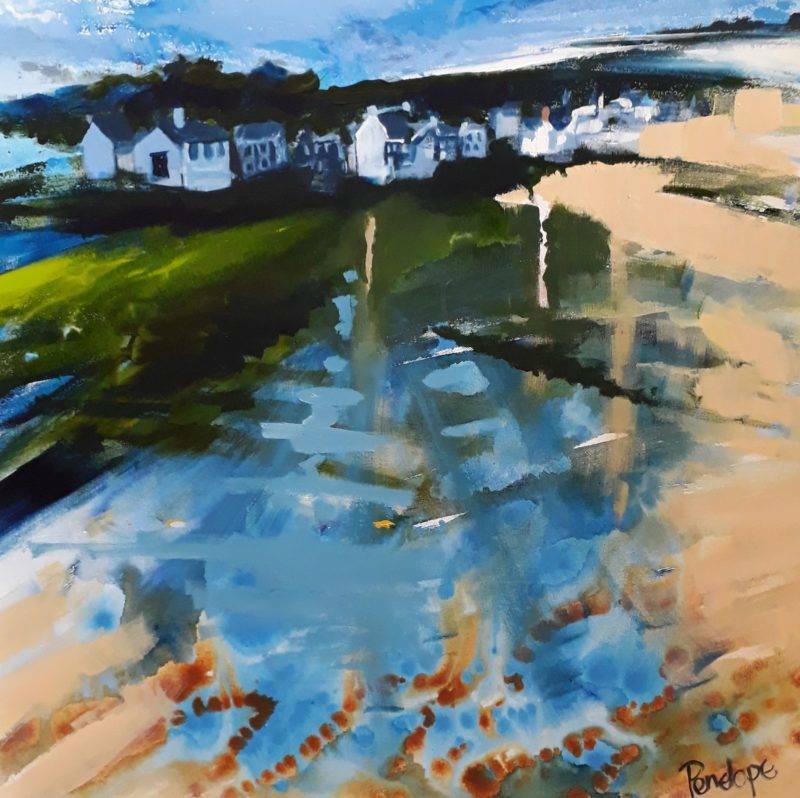 With wide expanses of countryside on her doorstep it's no wonder that her paintings have a delightful freedom of expression and a wonderful feeling of joie de vivre. 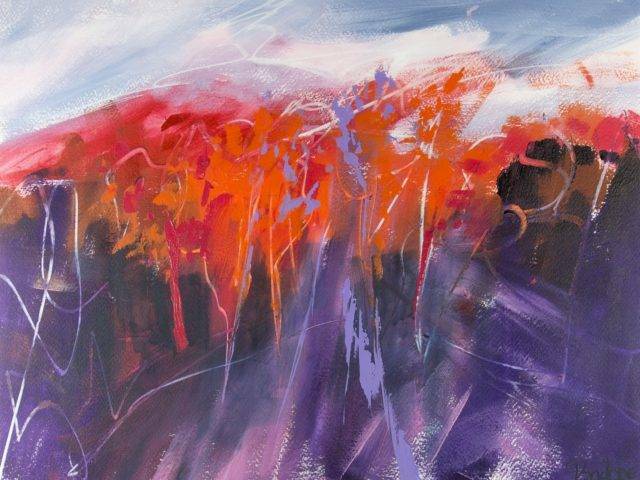 With subject matter inspired by her surroundings Penelope's work has a strong sense of colour – even on a grey day she see's colour around her. 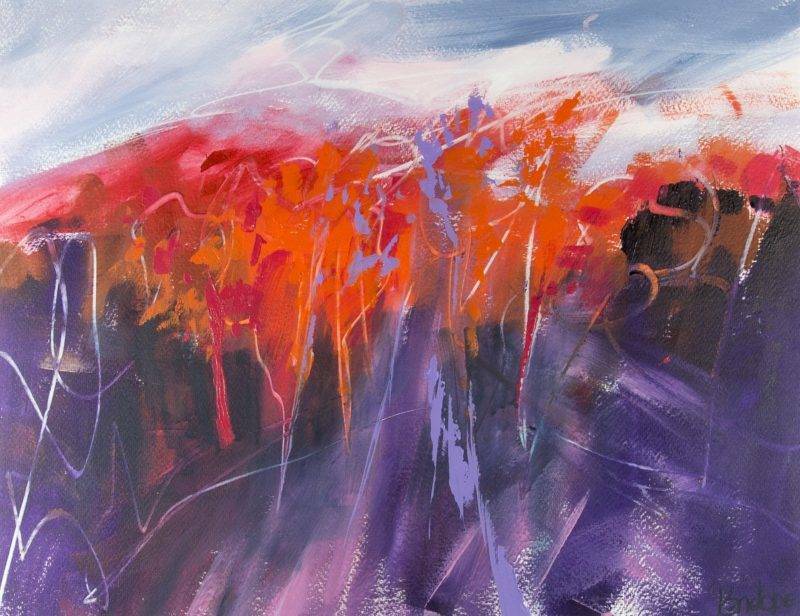 Working from life, photographs and sketches she captures colourful blooms, wooded paths, landscapes and rugged coastlines. 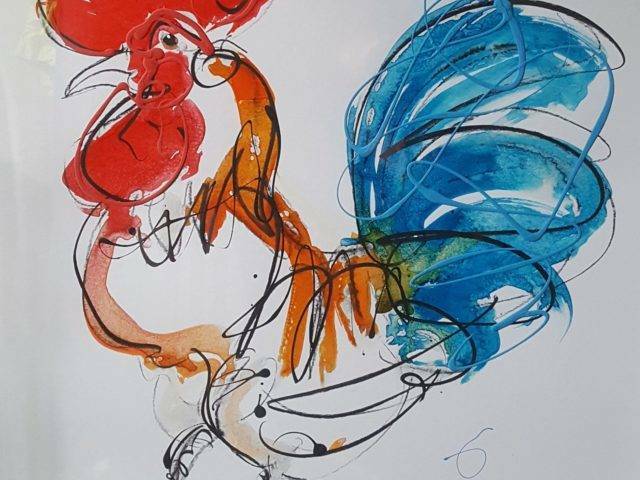 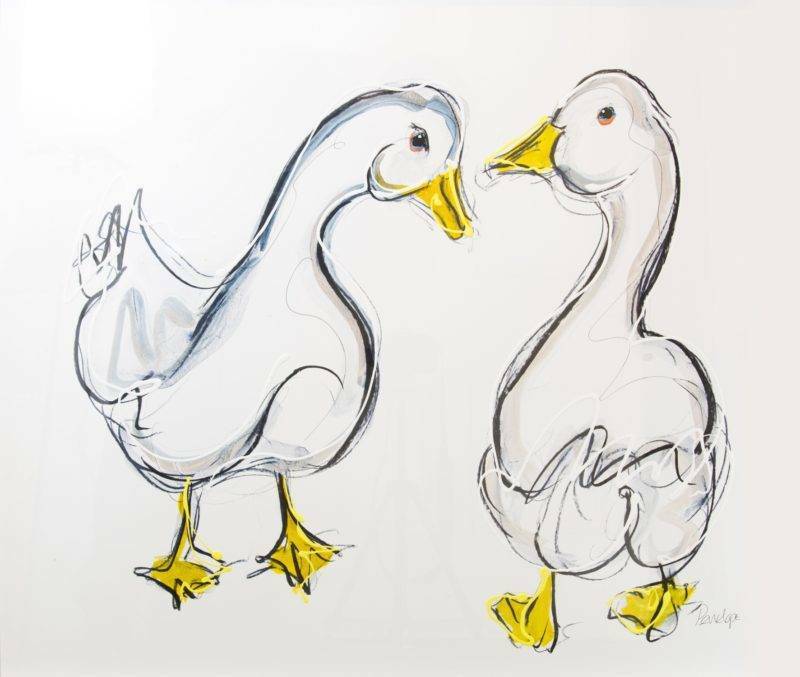 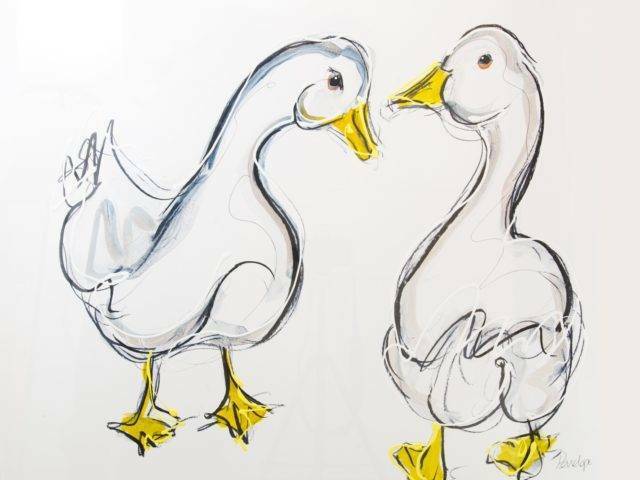 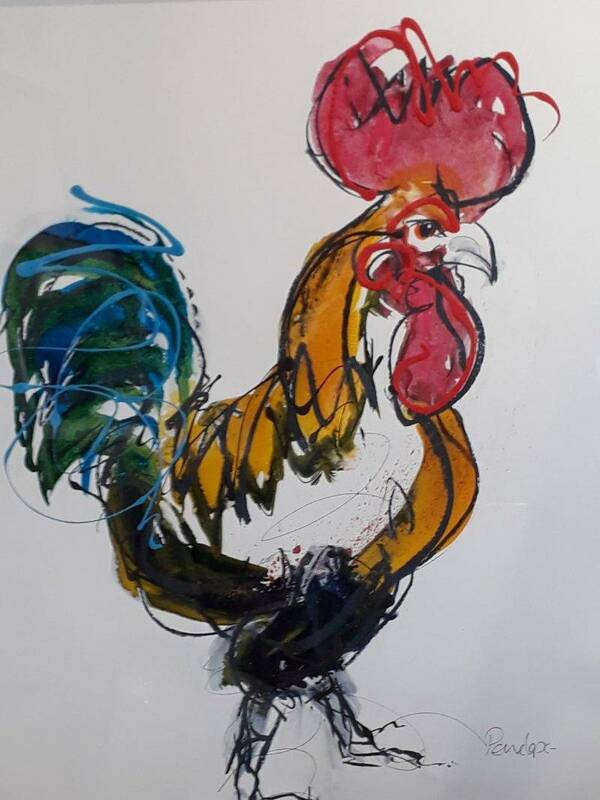 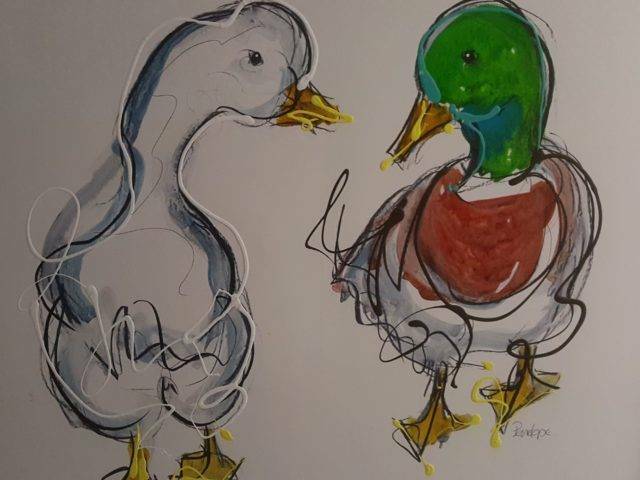 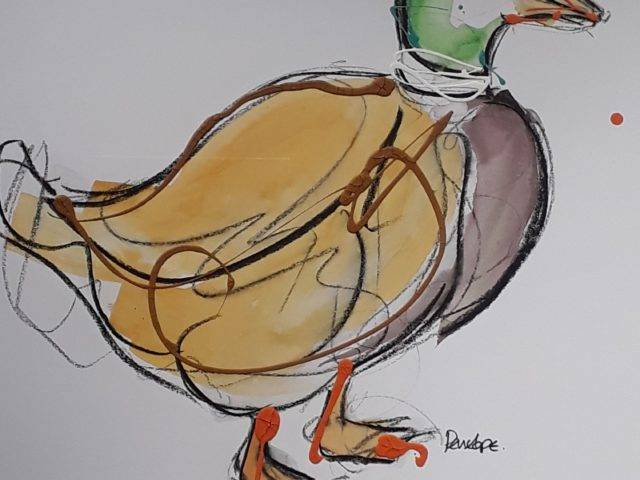 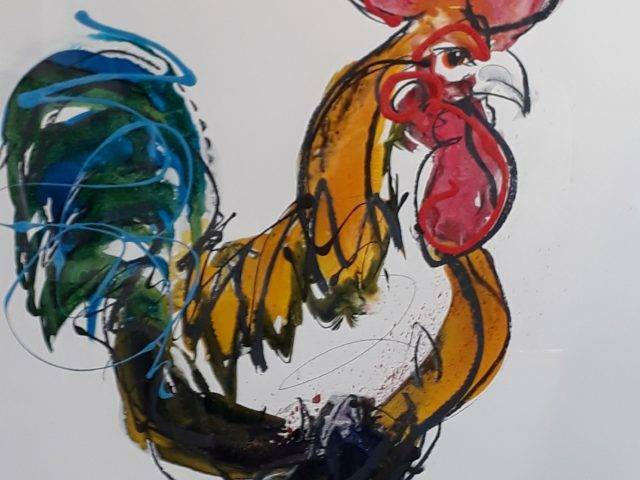 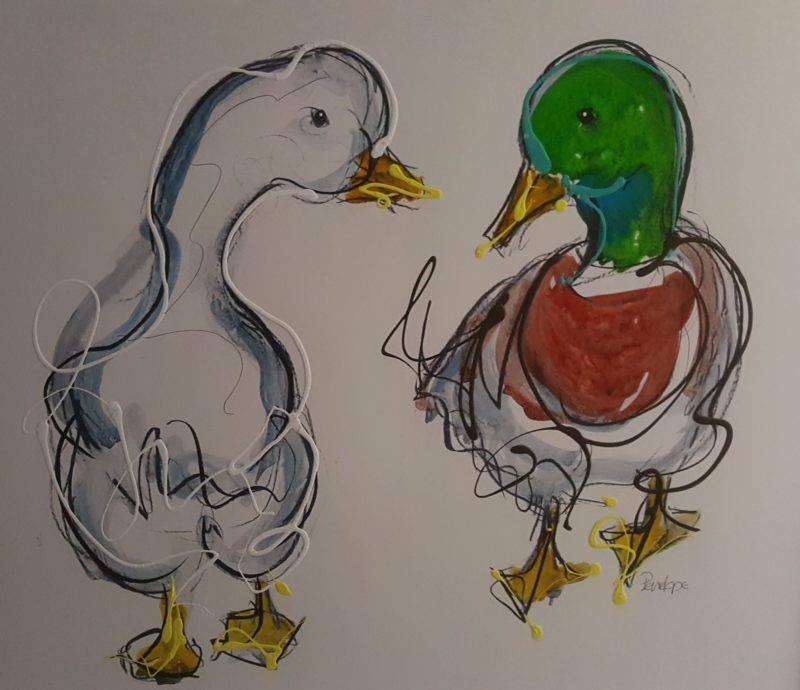 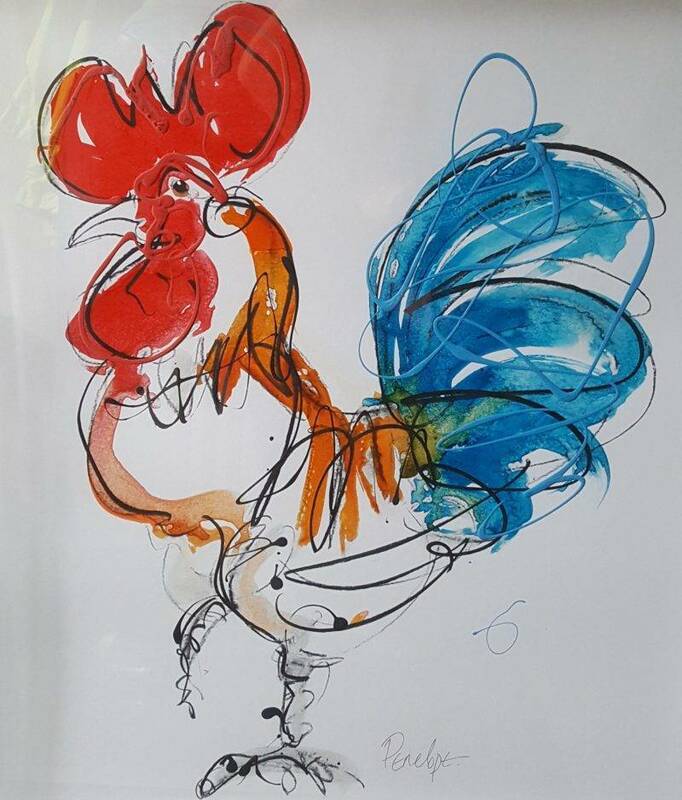 And then there are her fowls – chickens, cockerels, geese, guinea fowl and turkeys, all strutting proudly, their gestural movements brilliantly captured in a few brush-strokes. 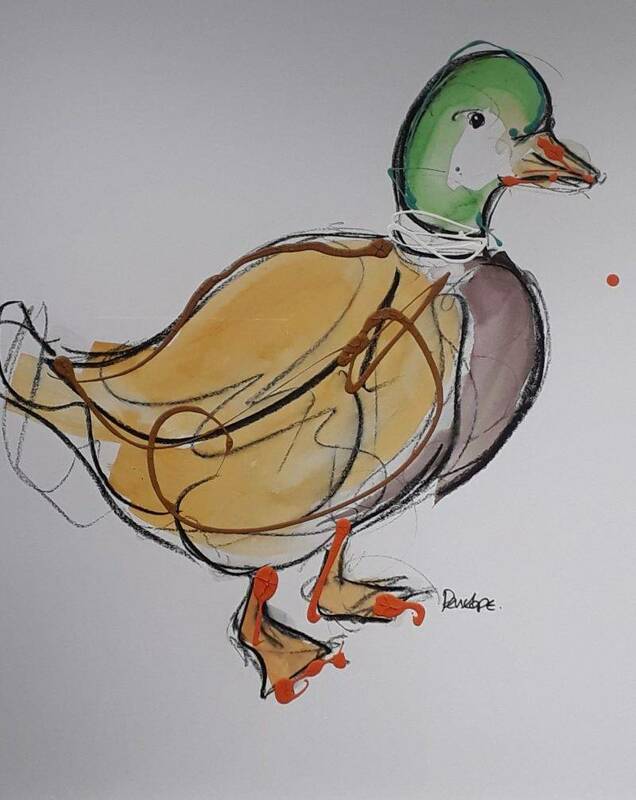 Highly amusing, but never comical, a testament to her brilliant observational skills.